A 1-800 number is a type of toll-free number. Getting a 1-800 number for your company could be a smart business move. These numbers keep your customers from having to pay a fee when they contact you, and a 1-800 number is the most commonly known type of toll-free number. 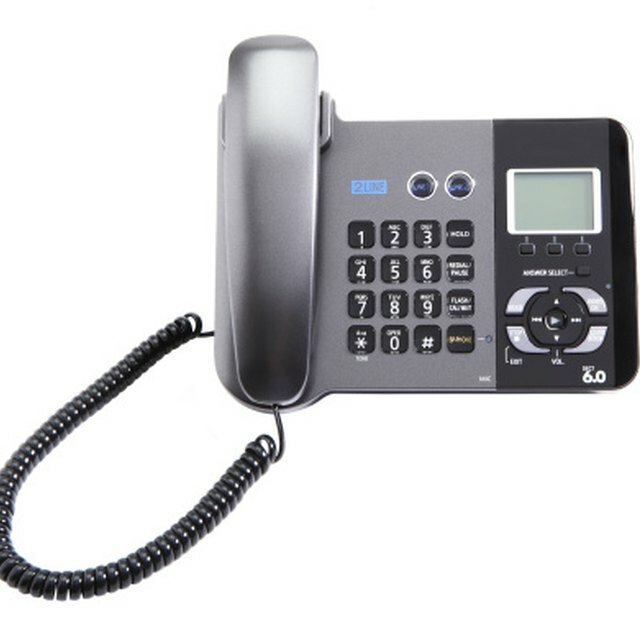 However, if you are running your company on a tight budget, then finding a cheap 1-800 number might be necessary if you want to get one at all. Figure out what you want your 1-800 number to be. Since you are using the long-established “800” and not another three-number combination, such as “888” or “855,” your choices might be more limited. Acquire a list of toll-free number service providers to choose from. These include, but are not limited to, smaller companies such as eVoice, Phone.com, Grasshopper and Phone People and large companies such as AT&T. Use the SMS/800 website (see Resources) to get a full list of providers. Determine what fees are charged by each of the service providers. Checking with as many as possible can help you find the cheapest option. The fees can include a monthly charge, as well as a per-minute charge, which means you pay a certain amount per minute for calls coming into the 1-800 number. This is where the cost can really start rising. Expect to pay between five cents and 35 cents for each minute. Look over the terms for each 1-800 service provider you’re considering. The terms can include how to cancel the account, additional fees and customer service that will be available to you. Once you find a provider that offers you what you need for the cheapest price, let them know the number you want and the provider will check to see if it’s available. The provider you choose will not affect the availability of this number. Federal Communications Commission: What Is A Toll-Free Number And How Does It Work?